Capture the true essence of your wedding – the joy, the love and the candid moments. Our approach to wedding photography is to capture the passion and joy of your wedding day. We will document the heart-warming precious moments and bring to life your stories of love and laughter. Aren’t we all different yet with our own unique personalities? Like chalk and cheese? Yet, we all do share one common trait with you – we love weddings! The cake, the feast and the general bonhomie apart, we love the moment. Weddings are all about choosing the right partner, right? It’s about the trust and the understanding and the excitement that is mutually shared. And we know the most important day of your life needs to be frozen in time, saved for posterity in the most beautiful way it can be. We chase the light but leave you alone. We will let you focus on your moments without losing ours. We know it’s a day unfolding in all honesty and love, so we will wrap it up in the uniqueness that it deserves – candidly and passionately. 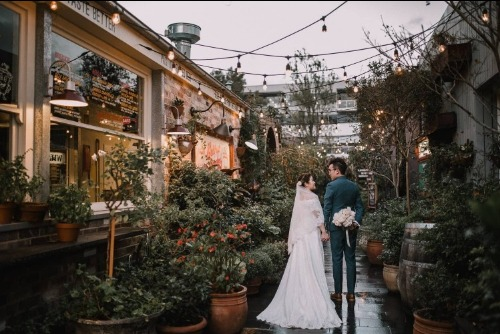 It’s also what we like to call our wedding photography style - pictomentary – picture documentary, of course – that stars the two of you, capturing the true essence of your wedding moments. 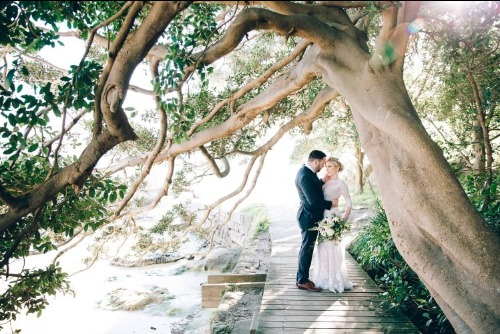 Not just merely documenting the best day of your life but being in the moment and weaving a story around those moments filled with love and passion. And gift wrapping those with the very same love and joy you built them with. We like to tell stories and find those frames that you would want to cherish for the rest of your life. And the day after the wedding or a year later or even a few decades down the road when you look back at those lovely frames and smile and feel that lump in your throat and moist eyes, you will know we were just as excited as you were on that day. And you’ll feel it all over again - the build-up to the day, the trials and joys of preparing for a wedding and capturing the love and the passion, the tears and the laughter and every emotion that only a frame can freeze. Being there on your special day and capturing it in a way you want it remembered best and forever. All your special moments, big and small, just become ever so much delightful each time you revisit it. Crisp, vibrant and colourful wedding. A more raw edit and desaturated colour tones. Light and airy filmy look. To see more wedding photos, visit Wedding Photography page. Just like our wedding photography style, our wedding videography is driven by story-telling approach. We create cinematic, heartfelt, candid and photojournalistic style wedding videos with minimal posing (acting). Every wedding video we produce is balanced with the emotion, candid moments and romance. For more wedding videography highlights, visit Wedding Videography page. I can honestly say from the bottom of my heart, my wedding wouldn’t have been the day it was without Cedric and his Chalk and Cheese Team. If you are after a photographer who has an absolute talent for capturing emotion and understanding that the small moments are just as important as the big ones, then Cedric is your man. 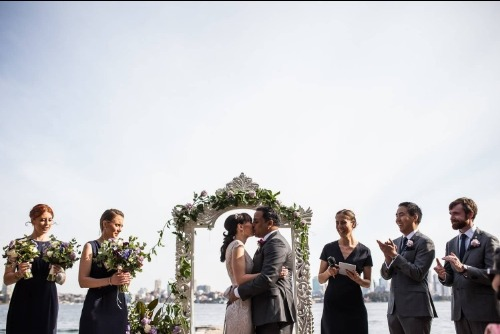 Cedric completely understood our vision and the importance of family and culture on our special day, and captured all those moments so beautifully. 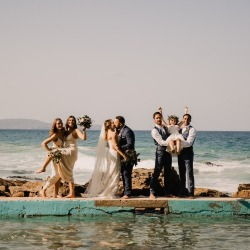 We love his wedding photography style. Not only is Cedric an amazing photographer but also a great director. He somehow managed to turn 1 groom and 2 groomsmen, who have never taken a nice photo in their lives, into 3 very handsome men on camera. He made them feel comfortable, looking great and no awkward hands or arms LOL. The service from Cedric and his team is over and above what I could have ever imagined. From the very first email nothing was ever too much and he helped answer every question I had. From helping me pull my run sheet together, and helping with finalising our location shoots. Not to mention on the wedding day Cedric made the extra effort to learn everyone’s names in my and my husband’s family, and was so helpful with my 7 year old step-daughter making sure she was one of the most important people on the day. I honestly cannot thank Cedric and his team enough, he ensured that the magic of our day was captured forever, and all those small moments we will never forget. When we received the wedding highlight video, we can't stop watching it. And my husband, Jesse can't stop crying. They nailed it. It's amazing. Like what you have seen so far? Please click on Wedding Photography to see more wedding photos galleries.